Adira Finance Mokas Gave Appreciations to The Mokas Dealer Partners. 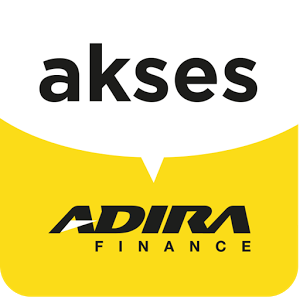 Yogyakarta (04/09) – One of the important factors in the progress of Adira Finance Mokas is establishing a very close relationsips with business partners in this regard is the used motorcycle dealers. For that reason Adira Finance Mokas holds a regular event every year to appreciate the cooperation so far, named “Mokas Priority”. 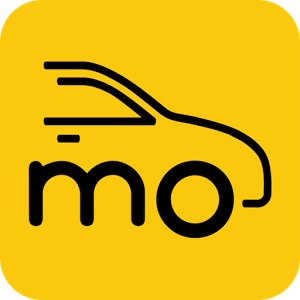 This activity is a gathering and also giving the award to its dealer partners. In this year Mokas Priority is entitled “Mokas Poenya Kawan” with a theme of “Faithful Friends Forever”. This theme is an early period of Adira Mokas Priority “Mokas Poenya Kawan” program the will consist of four periods (Faithful Friends Forever, Simple, Solution, and Synergy periods). “This kind of gathering event makes us more familiar, both with the Adira Finance as well as with fellow entrepreneurs of Mokas dealer. In the event we can share any information and sharing anything associated with used motorcycle business, which is very useful for the progress of the dealers and Adira. Our hard works have always been appreciated by Adira Finance. Go ahead Adira Finance”, said John Rudianto, one of the co-dealer and member of the AMC. The event that will be conducted for three days in Yogyakarta, opened with social activities that involve Adira Finance Mokas, Adira Finance Sharia, Adira Insurance Sharia and Adira Mokas Community (AMC) by donating hundreds of porters at Tugu station and also the rickshaw peddlers and motor rickshaw driver. The CSR donation given is in the form of educational scholarships for children of the porter, working capital assistance to the rickshaw peddlers, and granting exclusive Adira Finance helmets for motor rickshaw driver. In addition, the rickshaw peddlers and motor rickshaw driver also get other donations in the form of groceries assistance. The main event of Mokas Priority night awards will be done the following day together with 300 dealer partners and management team of Adira Finance. Adira Finance hopes this activity can boost the spirit of fellow dealers to continue to provide the best and can continue to grow and develop together. “With the implementation of Mokas Priority in Yogyakarta, we expect to continue to develop close relationships like best friends and be able to continue to provide the best to our dealer partners,” said Sugianto as Head Of Used Motorcycle Adira Finance. Mokas Priority activity this year will conclude with a cultural tour around the city of Yogyakarta with all dealer partners.